Choosing 4K Ultra HD IP Cmera or not - Understanding about the Specification - A blog about IP video security solution. 12-megapixel camera is standard specification in the smart phone industry today. In the CCTV application, should we also choose a camera with ultra high resolution like 12-megapixel? We do want the footage getting as much detail as possible. However, most of CCTV cameras are installed on the scenes and expected to be working in 24/7. The low light condition is a big challenge. Without enough light, the ultra high resolution feature just will turn into liability at night. Why? Simple increase the resolution without increase the size of the CMOS sensor can compromise the camera's sensitivity, because the size of each pixel needs to be smaller since the pixel increasing. Image there is room with fixed space, if we want to fit in more person, we need to pick the smaller one. The second consequence is the gaps between each pixel will increase sharply. The gaps are one of the reasons we see noises at night. The ultra high resolution did get great snapshot in the ideal environment under good light condition. Once it changes to low light condition on the scenes, the result goes otherwise. The second challenge is the interested person could be moving. They don't stand still and say “hello” to your camera. Moving object capturing capability doesn't relative to the pixel rate. Here is the video. We can simple use zoom lens to make the camera seeing clear. Yes, it trades off between the field of view and image detail. As long as the camera can cover the interested area, it will be fine. Should we choose the camera with high power LEDs built-in? That is properly not a good idea. We can find many cameras with high power LEDs in the market. It is the simple solution to boost the camera's sensitivity, but the high power LEDs will generate serious heat and shorten the use life of the camera. Frankly speaking it likes cooking a computer in a small closed space - The ip camera is a small computer with CPU and memory. We know even the home PC still require fans to let out the heat. The higher power Infrared LEDs also will make the image fuzzy. The focus of infrared is not the same as visible light, which mean camera's focus point will switch when it sees the mass Infrared. The camera getting perfect focus on day just will become a little bit fuzzy at night with infrared projecting. The stronger Infrared, the more serious the fuzzy will be. 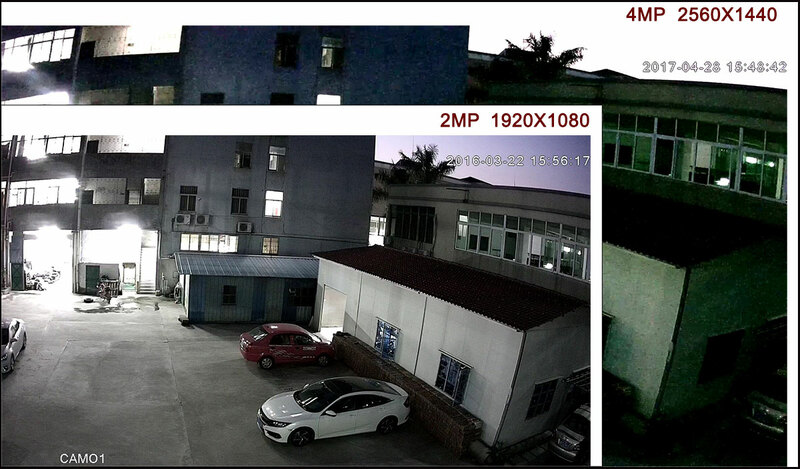 To resolve this issue, we can choose camera with Infrared corrected lens, then add external Infrared or just choose the camera with better sensitivity, such as color night vision. Should we use Power over Ethernet (POE)? The power is one of the important things for any of electronic products. Clean power can make the camera running stable. PoE already approved to be an efficient solution in the industrial. 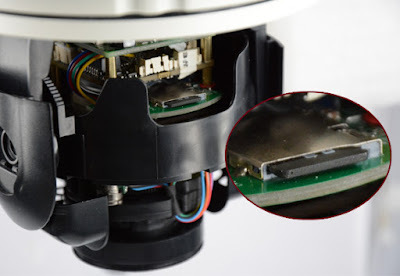 In the IEEE802.3 PoE standard, PoE switch will start releasing small current to the camera then increase the current until it detects the camera is ready to accept the full power. The POE doesn't only make the setup easy (remove the 110/220AC power cable) but also make the power system clean and stable. Just one thing, don't choose PoE which is not compatible with IEEE 802.3. It makes the power system unstable, and easy to create surge in your power system. If you are able to manage wire in your application, don't even think of the wireless. It is always more stable with wire. Also, most of the wireless still requires power cable to each camera. "It is not real wireless" people always say this to wireless camera. However, wireless still has advantage in some special application which is easier to gain the power, such as home or farm. You may need to make holes thru the thick wall or need a long cabling in order to wire back to your recorder. 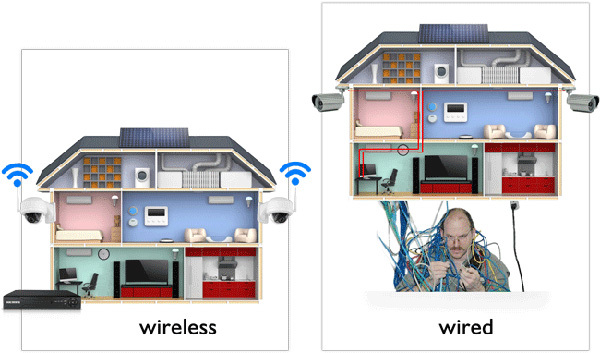 When we choose wireless solution, try to use the wireless NVR as well. You can’t move your existed router, but you can move your wireless NVR to the position which has optimal signal to all the cameras. Dome type camera or bullet type camera? As we know, the burglars become sophisticated. Simply changing shooting direction with a stick can beat your camera down. Vandal proof Dome type cameras make the shooting direction more difficult to change. Here are the few things we need to be aware about dome type camera. Choose the camera with anti-scrape transparent cover; otherwise never clean transparent cover directly. Any a small scrape on the surface can generate the reflection at night. Avoiding shooting too closed to the wall which get the reflection back to the lens or over explore, you may lose the visibility on the sense at night. Should we choose a camera with on board storage if I already have mass storage on the DVR/NVR? TF memory card on the camera can provide backup recording in your CCTV surveillance system. One of the jobs of your CCTV system is to deliver the evident when we need it. TF memory recording on board make sure we have backup plan even when the hard drive is failed or the recording system is taking away. People may argue that TF memory card only can record one or two days. Enable motion recording instead of continuous recording can double up the recording time even increase to one week. You may never know when you need the backup recording. Hanging up CCTV cameras provide us the vision, it doesn't resolve the security issue. Choose the right cameras is first step, also we need to protect our security system itself. Here is another article about How to "secure" your CCTV video security system? Try out new auto forward spy app, a great surveillance solution!